MBA programs open many doors; it’s important to take advantage of these opportunities. Earning an MBA can set students up for success both in the short term and long term. For the lessons learned throughout the program to bring the greatest benefit, it’s important that attendees make the most of the opportunities presented to them during the program. One of the greatest advantages MBA students gain at business school is the opportunity to expand their professional network. Some students even find their future business partner in the classroom. For example, beauty startup Birchbox was an idea conceived at an MBA program, as was Wildfire, a social media marketing company that was later acquired by Google. Everyone has their own way of meeting new people and building connections. When making new connections, it’s important to break outside of your bubble. One of the most unique aspects of an MBA program—especially an online one like Villanova University’s—is its ability to attract people from all sorts of backgrounds and industries. While you may gravitate toward classmates who are your age, from the same geographic region or have experience in the same industry as you, fight the urge to always stay within your comfort zone. You enrolled in business school for a reason, whether it was to advance your career in an industry you already know, break into a new one or to pave your own path as an entrepreneur. Don’t let the hectic nature of an MBA program distract you from your goals. Keep your focus narrow by making a list of companies you want to pursue interviews with, and organizations you’re interested in taking a leadership role in. Additionally, while it’s a smart idea to take courses on subjects that are new to you, also be sure to home in on an emphasis that will benefit you in the long term. 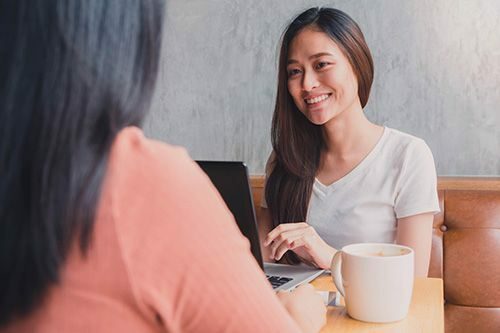 While staying aligned with your career goals is important throughout your business school experience, it’s also important to balance that focus with an open mindedness of your potential opportunities. Don’t be afraid to take a course outside of your concentration; you’ll likely learn new skills and information that may be applied to your future career. It’s also important to recognize that human interests aren’t inherently static; sometimes goals change, and that’s okay. If you find yourself being drawn in a new direction, explore the new path. Talk to your peers who are on that path, take a class and go to a presentation on that subject. You may discover a new calling. There are some opportunities that are available through an MBA program that you may never have access to at another point in your life. For example, many programs—Villanova’s included—not only offer but encourage students to take an international trip as part of the curriculum. In Villanova’s case, it’s the week-long international immersion, which is a part of the Global Practicum, the final capstone required of graduates. While there is a US-based alternative, students who make room in their schedule to take this trip find it to be a transformative experience. Beyond travel opportunities, MBA programs give students access to highly successful professionals, who may give talks on campus, invite students to informational interviews or socialize with students at networking events. Interacting with these business leaders can open doors for future job opportunities. Your time in business school is an exciting one with a host of opportunities that may not be available at any other time in your life. Be sure you make the most of your time at Villanova’s online MBA program.